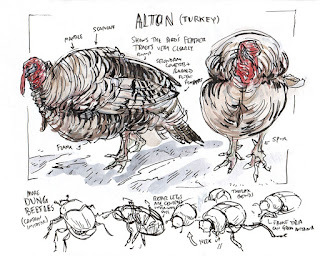 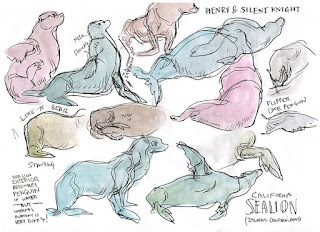 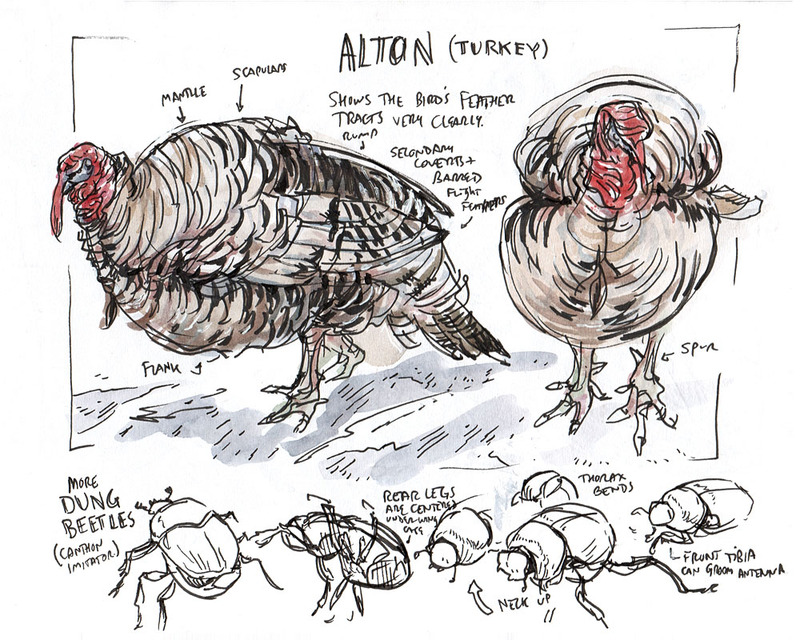 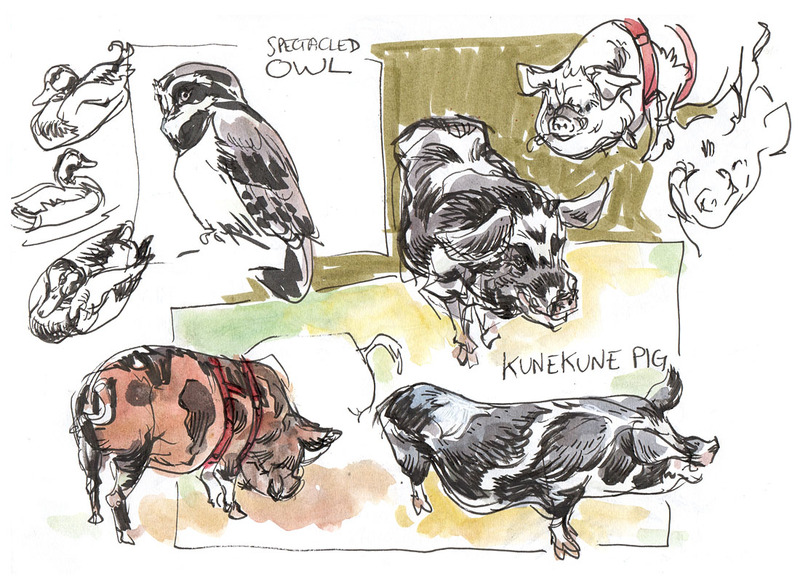 And now to finish clearing out my backlog of animal drawings from Bay Area establishments! 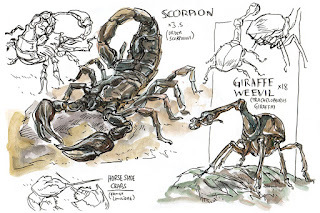 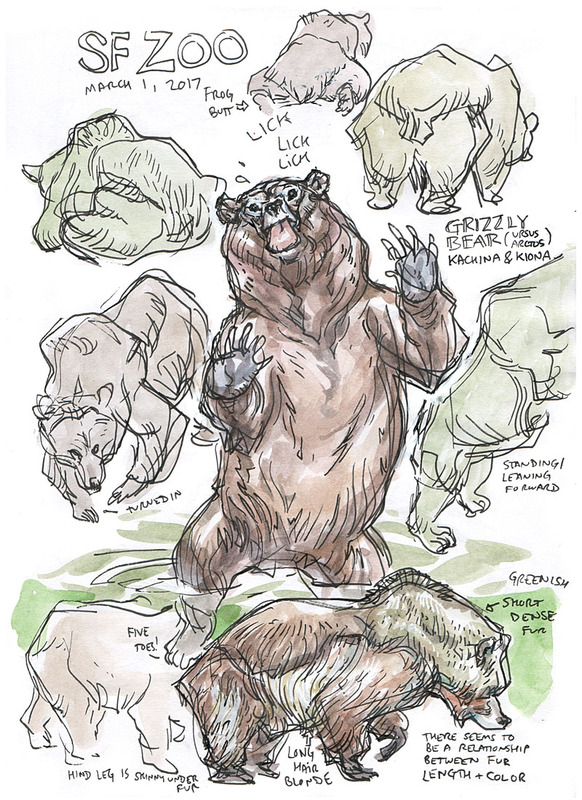 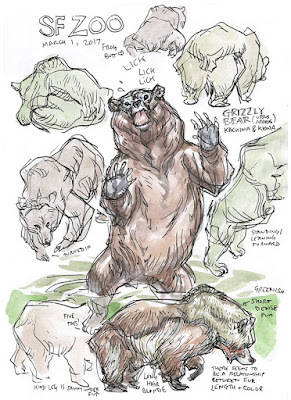 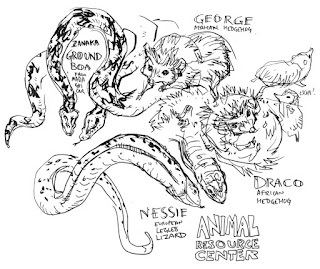 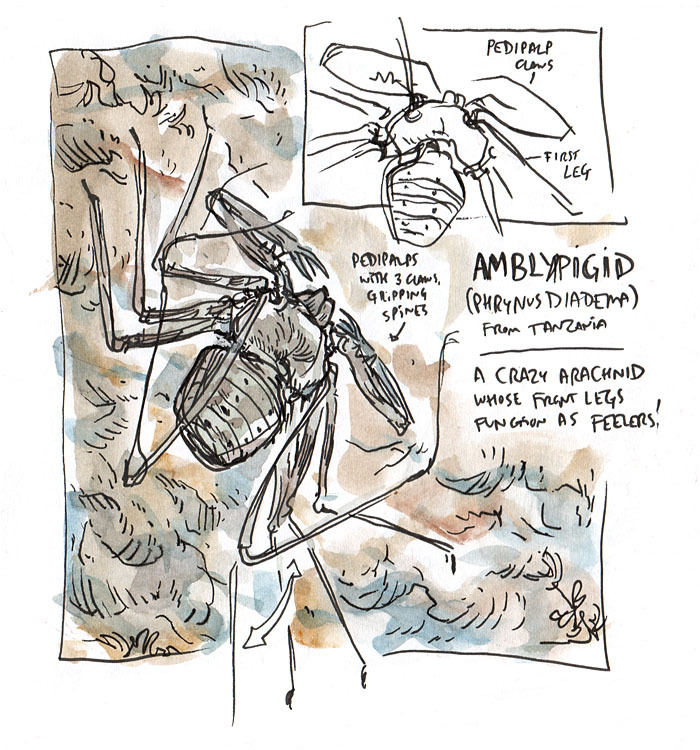 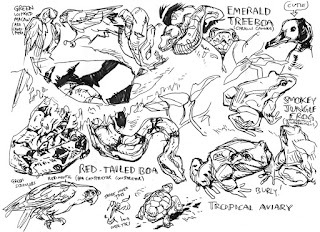 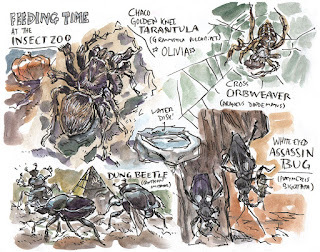 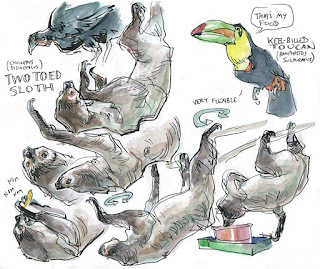 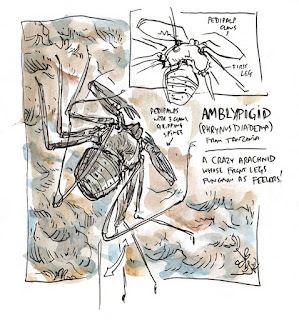 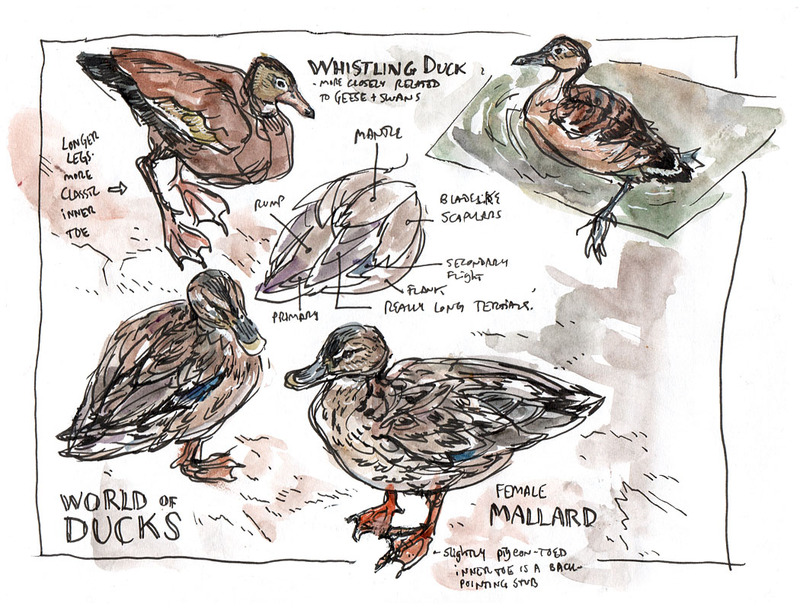 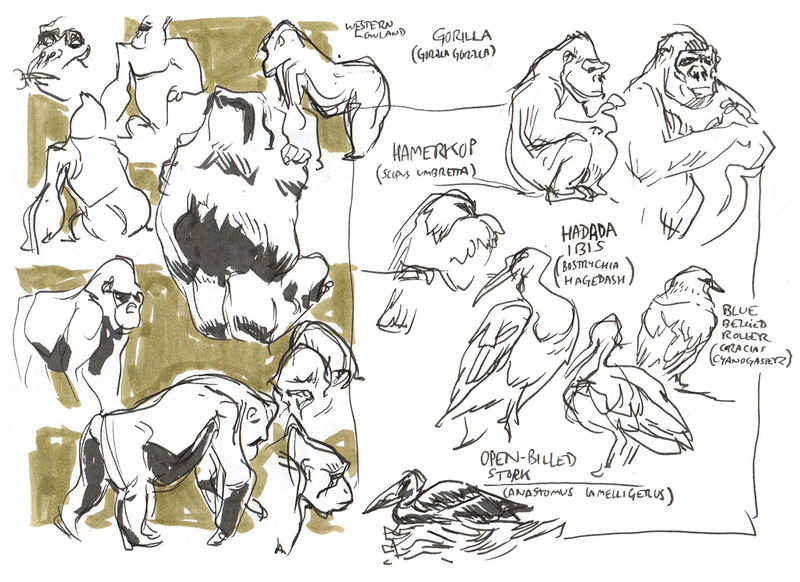 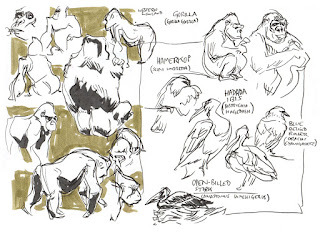 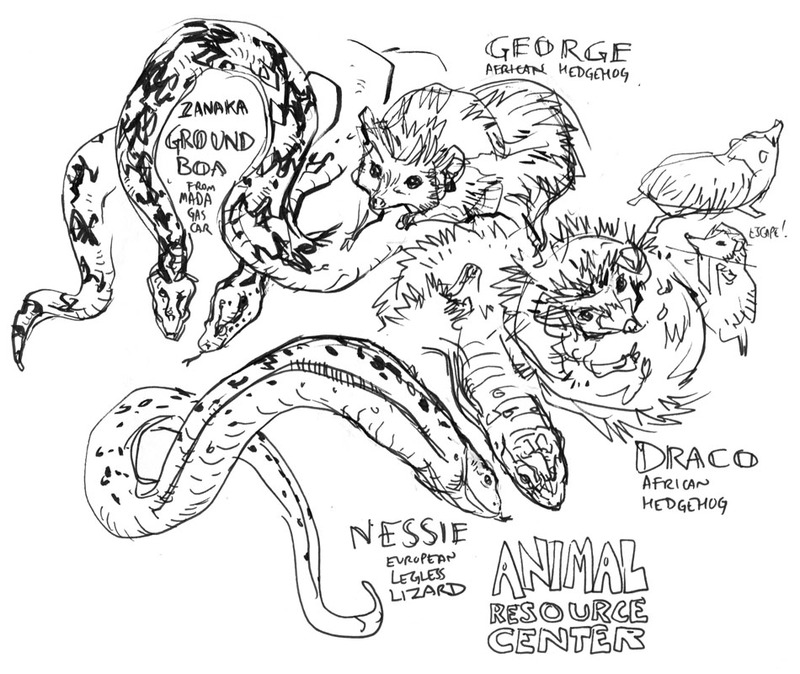 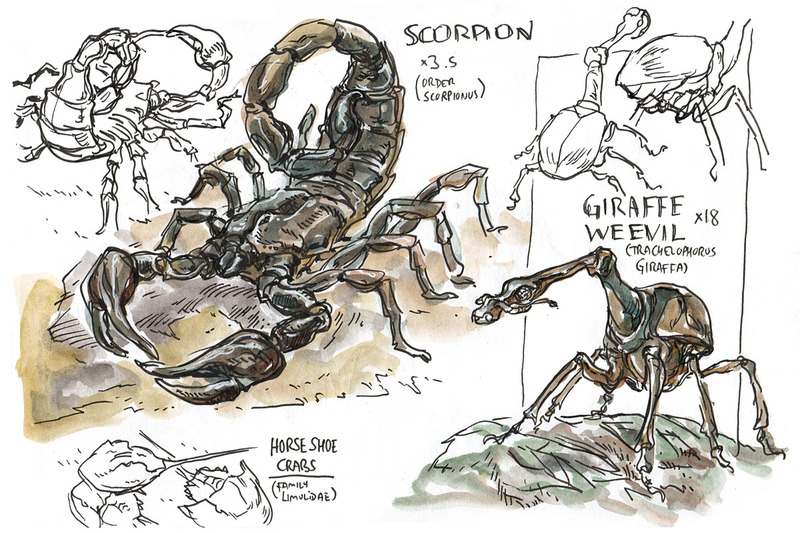 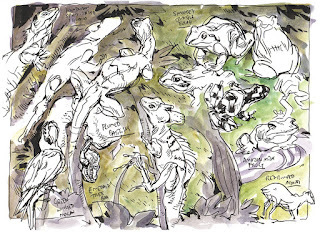 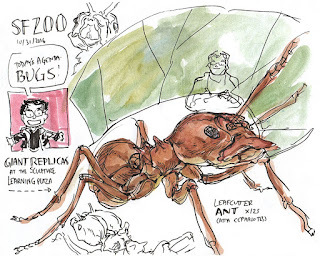 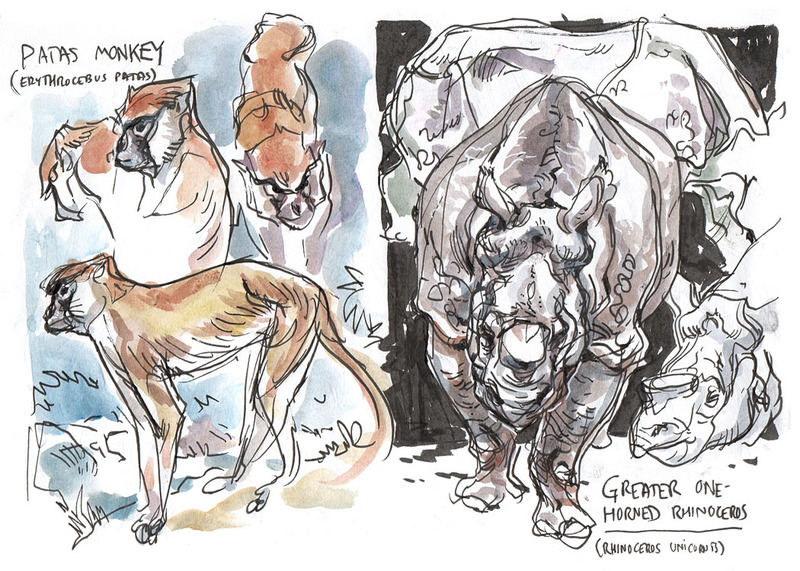 Here's the last four months' worth of San Francisco Zoo sketching. October 31, 2016: For Halloween, I went to the zoo with Sarah Barrie Fenton and her animation students. 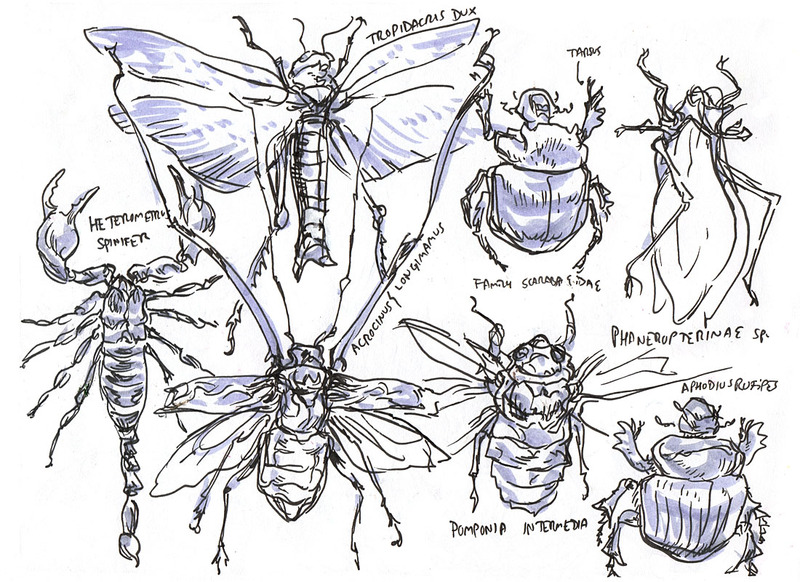 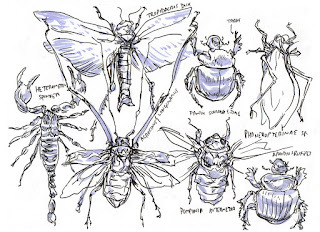 My theme this time was bugs bugs bugs, whether giant sculptures, pinned specimens, or living cuties. 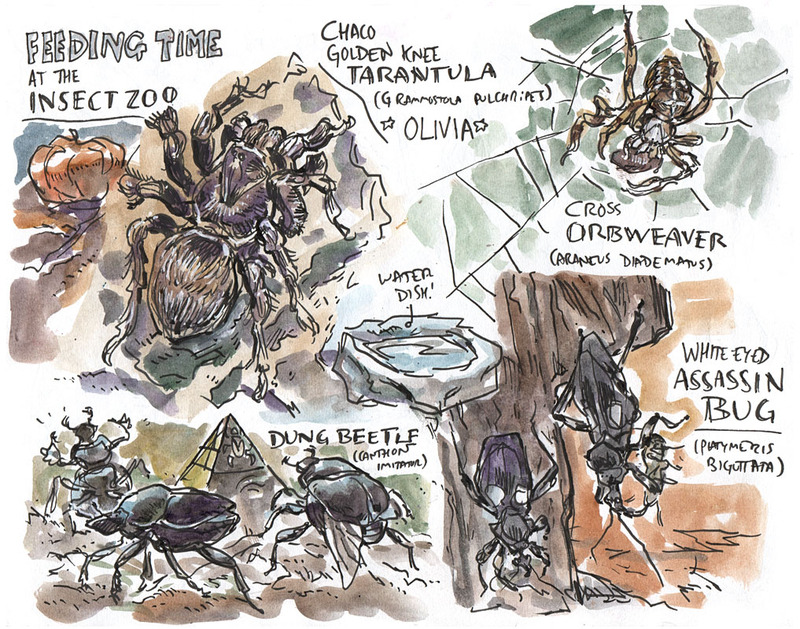 November 5, 2016: This time I tried to complete Sarah's scavenger hunt, although I didn't get very far - I kept getting distracted by critters that weren't on the list, or (in at least one case) weren't even supposed to be at the zoo. 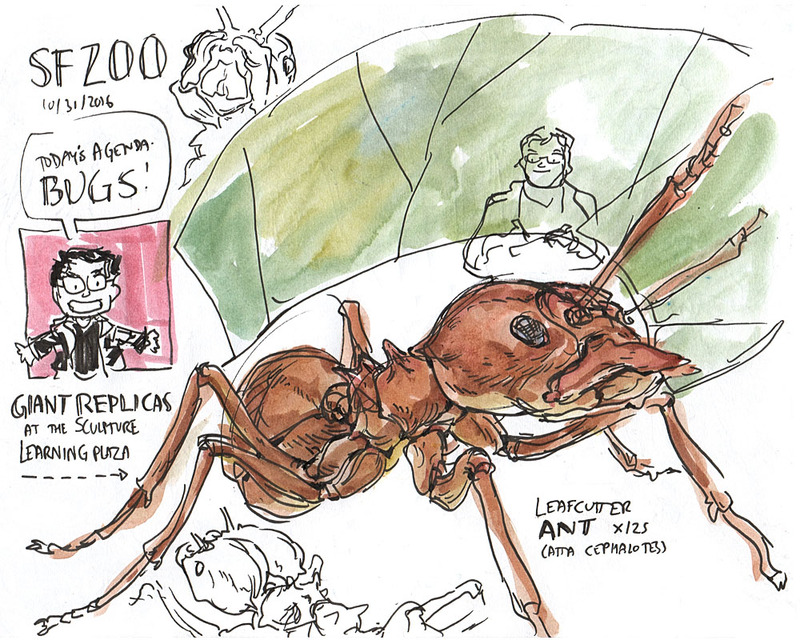 March 1, 2017: Another group outing with Emma Burns and Ian Grabinski. 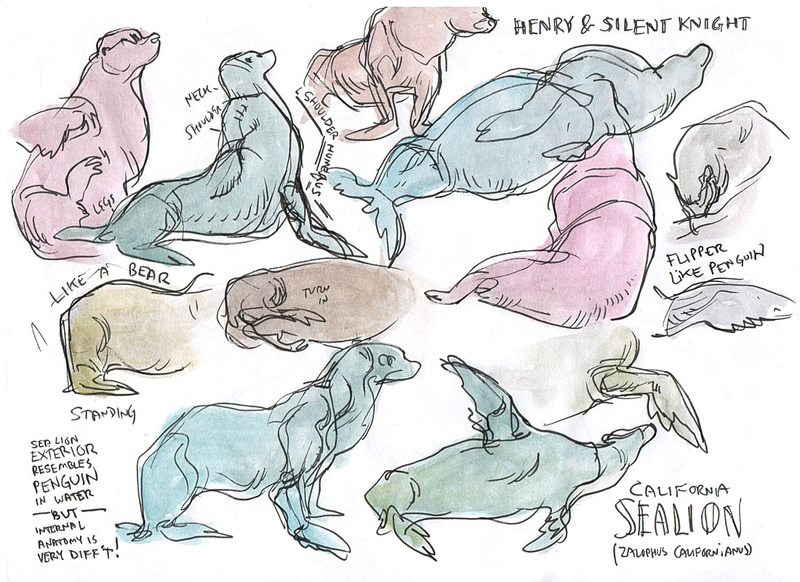 This time, less fancy painting, and more structural studies of bears and sea lions and such. 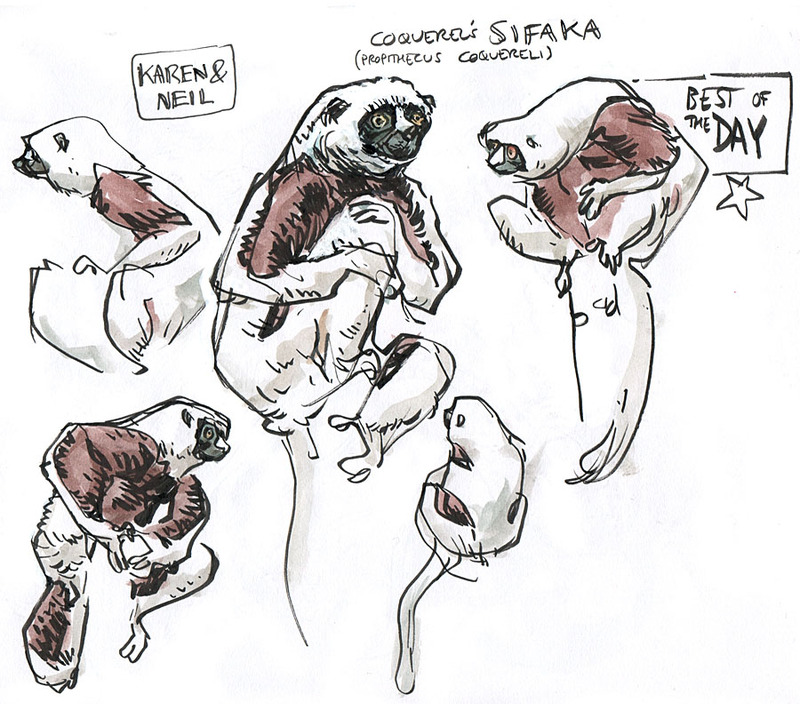 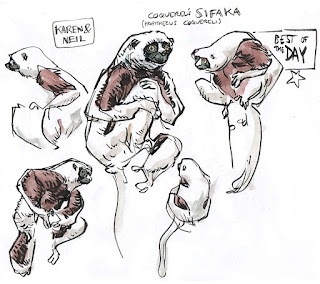 Plus a rare sloth action sequence and the surprising Best Of The Day!